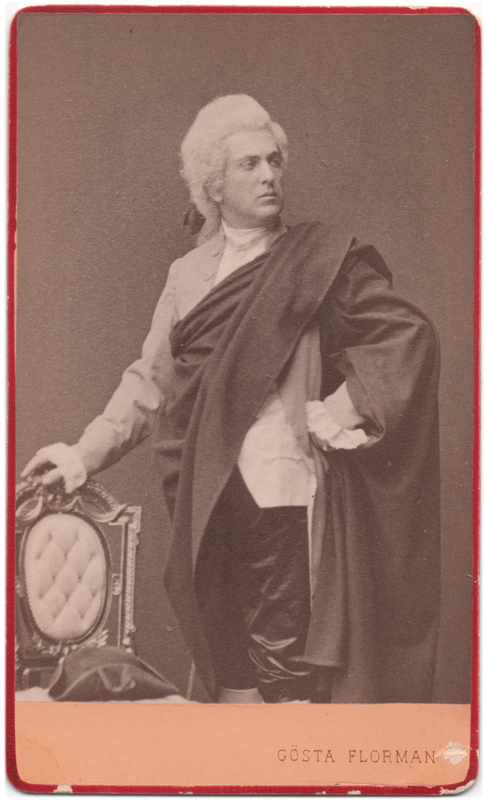 A photograph of a man posing in a 18th century style outfit, with a cape thrown over his shoulder. 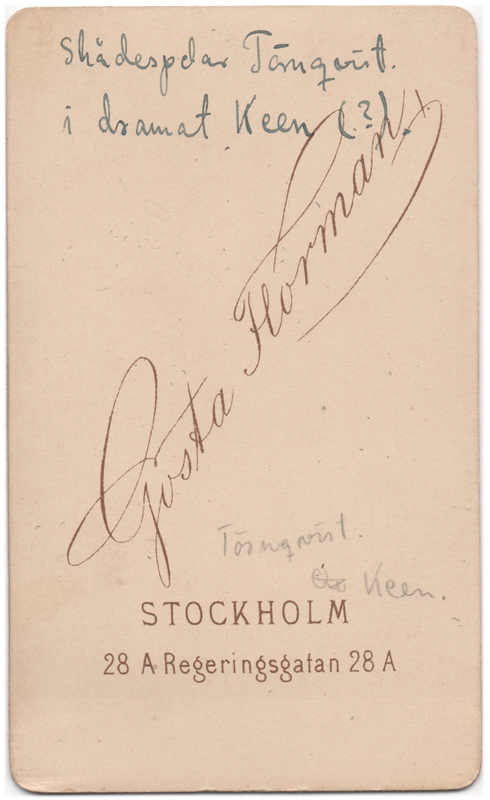 The text written on the back of the photograph identifies him as actor Törnqvist in his role in a drama called Keen – although whoever wrote this has also drawn a question mark after the word ‘Keen’. Perhaps they were not sure about the name of the play? It is also a possibility that the actor’s name is simply just a hopeful guess as well. Who knows! My brief search found no information about a drama called Keen or a 19th century actor by this name, but perhaps some information could be obtained if I just knew where to look. The photograph has been taken by Gösta Florman in Stockholm, Sweden, possibly during the 1880’s – just a guess, though.